The things you learn on twitter. Reading Brian Stelter’s twitter timeline is like tromping through a strange world pockmarked with establishment journalism fossils, #Resistance activists, and empty entertainment icons. You’ll also see a healthy number of attacks on CNN’s competitors (with Fox News the favored target) along with an unending stream of RTs praising Brian Stelter. 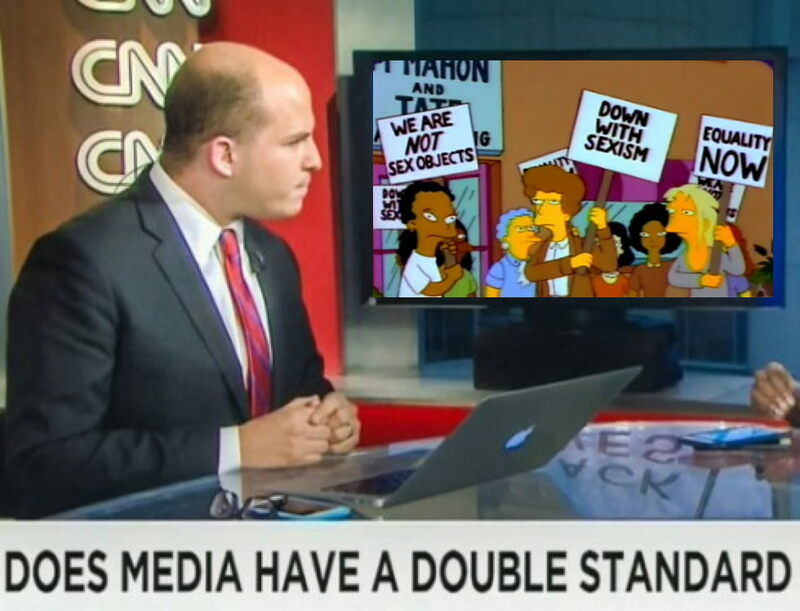 When a Media Matters bigwig complained that nobody wanted to broach the topic of President Trump’s insanity, Stelter jumped in, tipping him to watch the next Reliable Sources. (It featured an embarrassingly softball interview with discredited birther conspiracist Andrew Sullivan addressing that very topic.) 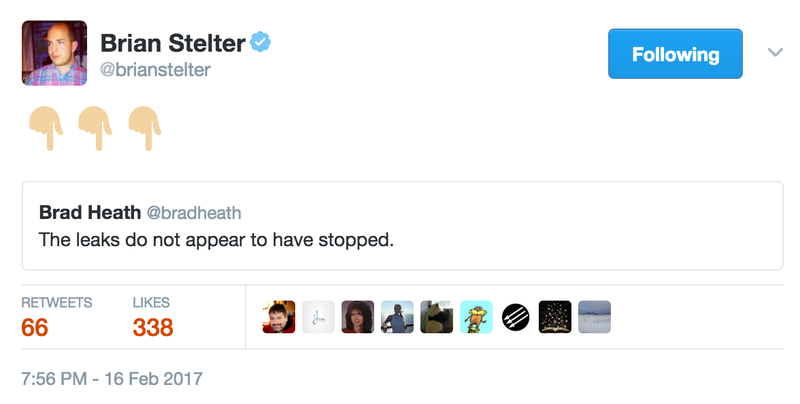 Mr. Stelter did not care for your Cable Gamer pointing this out on twitter, but his argument was flawed at best. One of today’s Stelter attacks on Fox News came by way of retweeting a clip collection assembled by GQ. The theme: while the good guys were covering A, silly Fox News was covering B, or even worse, C. People in the business know how easy it is to make any channel look bad using this premise: there’s hardly any hour in the day where at some point one channel isn’t covering something different, or even worse, less serious than the day’s top story. So just pick those moments and any news channel can be made to look frivolous or worse. It’s a propagandist’s technique, and Brian Stelter knows it. Johnny Dollar: Fox News covering the shooting in Missouri as CNN leads off the hour with the still ‘breaking news’ that The Interview is streaming online. Johnny Dollar: Inexpensive, perhaps. And yes, these moment-by-moment comparisons are often used to make cheap points. However I would argue what leads the hour is somewhat more on point than comparing, say, 24 past the hour, which I’ve seen. The Cable Gamer’s point here is simple, but telling. Stelter insists it’s a “cheap shot” when it makes CNN look bad, but will send it out to half a million people when it makes Fox News look bad. This says a lot about Brian Stelter: a “company man” rendered unreliable by partisanship and hypocrisy.